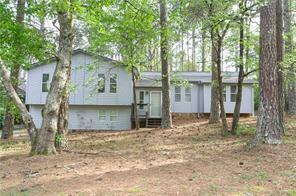 Woodstock GA Ranch Homes for Sale. Search MLS listings of Woodstock GA ranch homes for sale, luxury brick ranch homes for sale Cherokee County Georgia. 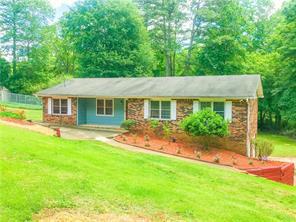 Woodstock GA Ranch Homes for sale. Search MLS listings for Woodstock GA ranch homes for sale. Owning a ranch home is a practical way to live for many. One level living has a lot of benefits for all. No more up and down stairs to bring groceries in from the car, or going upstairs to go to bed. With that in mind, I created this Woodstock GA ranch home page to allow viewers to view listings or Woodstock homes for sale that are ranch homes or ramblers only. Now you as a home buyer buying a home can search the MLS listings and find hi-ranches, ramblers, ranch homes and ranchers for sale in Woodstock GA and ranch homes and ramblers for sale in all price ranges. 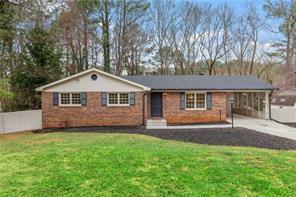 On this Woodstock GA real estate site we have ranch homes for the first time home buyers, ranch home communities, brick ranch homes, hi-ranchers with basements, starter homes, luxury ranch estates and enjoy the simplicity of one level stepless living in your own ranch home. For more information about buying or selling a ranch home or rambler home in Woodstock GA or Cherokee County – contact us. 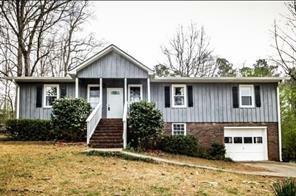 We can assist you as your Woodstock GA buyers agent or listing agent. 1) 153 Chickasaw Run, Woodstock, GA 30188, Cherokee Co.
2) 153 Chickasaw Run, Woodstock, GA 30188, Cherokee Co.
3) 208 Sabrina Ct, Woodstock, GA 30188, Cherokee Co.
4) 216 Parkridge Dr, Woodstock, GA 30189-7061, Cherokee Co.
5) 316 Council Bluff, Woodstock, GA 30188, Cherokee Co.
6) 2031 Bascomb Carmel Rd, Woodstock, GA 30189-3525, Cherokee Co.
7) 904 Audrey Drive, Woodstock, GA 30188, Cherokee Co.
8) 307 Jason Ct, Woodstock, GA 30188-3201, Cherokee Co.
9) 307 Jason Court, Woodstock, GA 30188, Cherokee Co.
10) 516 Stockwood Drive, Woodstock, GA 30188, Cherokee Co.